We’d love your help. Let us know what’s wrong with this preview of Arthur's Eyes by Marc Brown. None of Arthur's friends wear glasses and his classmates tease him! But when he stops wearing them, he gets in all kinds of trouble. Maybe four eyes really are better than two. To ask other readers questions about Arthur's Eyes, please sign up. “Arthur’s Eyes” is the second book in Marc Brown’s famous “Arthur” series and is about how Arthur copes with having his glasses for the first time and the bullying he goes through. “Arthur’s Eyes” is truly a masterpiece for anyone who also has problems with having their glasses for the first time in their lives. 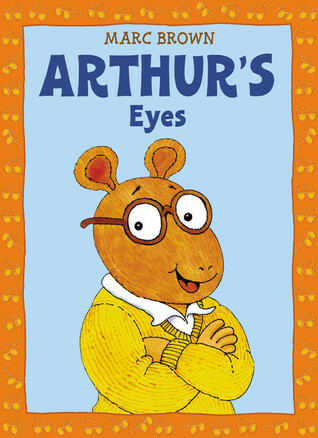 Marc Brown’s writing is truly inspiring since it involves a real life situation about how Arthur felt when he was teased by his classmates about his glasses and how he did not want to we “Arthur’s Eyes” is the second book in Marc Brown’s famous “Arthur” series and is about how Arthur copes with having his glasses for the first time and the bullying he goes through. “Arthur’s Eyes” is truly a masterpiece for anyone who also has problems with having their glasses for the first time in their lives. Marc Brown’s writing is truly inspiring since it involves a real life situation about how Arthur felt when he was teased by his classmates about his glasses and how he did not want to wear his glasses anymore because of the teasing. The story is cute without going too overboard with the bullying that Arthur faces after he wears his glasses for the first time in his life. Marc Brown’s illustrations are improved more from his last book “Arthur’s Nose” as the characters looked extremely lively and the colors in this book may look a bit dull, but the characters are much more interesting looking in this book. Arthur still retains his long nose, but no longer looks like a real aardvark, which is an improvement to his character. “Arthur’s Eyes” is one of Marc Brown’s most memorable book as it help started the famous TV series and it actually reaches out to kids who have problems with teasing from their classmates when they first got their glasses. I would recommend this book to children ages four and up since there is nothing inappropriate for children in this book. My 4 year old grandson asked me to read him this book. It has cute drawings of animals in a grade 2 school setting. Coming from a family where lots of people wear glasses, this story provided a good opportunity to talk about who needs glasses and how it helps them to see things better. This is a good story about getting eyeglasses and the benefits (getting to see better) and challenges (getting picked on). Our girls haven't experienced this yet, but if nothing else, I hope they can see that it hurts children to be picked on for being different. They noticed that the illustrations were a bit different (even from the image on the cover) and I explained that it was one of Marc Brown's early books about Arthur, and that the illustrations changed a bit over the years, especially wi This is a good story about getting eyeglasses and the benefits (getting to see better) and challenges (getting picked on). Our girls haven't experienced this yet, but if nothing else, I hope they can see that it hurts children to be picked on for being different. They noticed that the illustrations were a bit different (even from the image on the cover) and I explained that it was one of Marc Brown's early books about Arthur, and that the illustrations changed a bit over the years, especially with the TV show. It reminded me of how much Jim Davis's Garfield has changed in the last 30+ years. When Arthur needs glasses so that he can be a better student and playmate, the next day, his friend's laugh at him. They tease him because he is different, and Arthur doesn't want to be different. He just wants to be able to see, but he cannot stand to be teased for it. This book helps kids accept the fact that glasses tend to be labeled unjustly as "uncool" and help them accept that it is okay to be different. This story is so fun and a great book for kids. It's about Arthur getting glasses. He starts not being able to see well and having to have his friend help him read problems. His parents realize he needs glasses. His friends though start to make fun of him so all he wants to do is hide them away. In the end his teacher helps him realize glasses aren't bad, even he has to wear glasses. This would be good to read to students especially someone struggling with having glasses. I love Arthur! But this is a great book to have in the classroom because students who get glasses for the first time, for whatever reason, are ashamed to wear them. It is great for students to see themselves and the problems that they face in the books that they read. Students would be able to see the good that comes from using their glasses! Arthur was my all-time favorite Educational TV show as a kid! I would watch it every morning! Daddy: Did you like it? Malcolm: I didn't like it. Daddy: Why didn't you like it? Daddy: What made it scary? Malcolm: Francine wasn't very nice. This book is about Arthur and when he learned that he needed to get glasses. The book starts off with him not being able to see anything at school, so he went to the eye doctor and got glasses, then he was too nervous to wear them. He ended up warming up to them when he saw his teacher wearing them. The book highlights a child with a disability and provides them the chance to relate to someone. 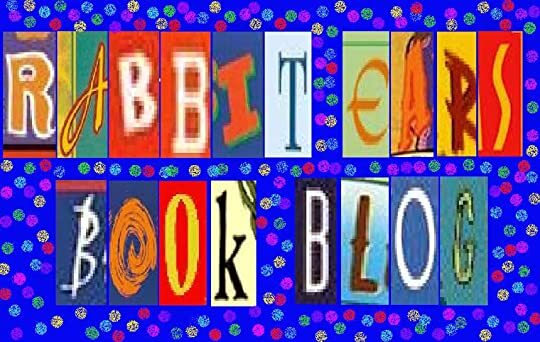 I gave this book 5 stars becasue I like the story line. I like how it shows his struggles as well as h This book is about Arthur and when he learned that he needed to get glasses. The book starts off with him not being able to see anything at school, so he went to the eye doctor and got glasses, then he was too nervous to wear them. He ended up warming up to them when he saw his teacher wearing them. The book highlights a child with a disability and provides them the chance to relate to someone. This book is an amazing book to have in the classroom to read to students or even a bedtime story. My little brother had to get glasses in first grade and he was afraid to wear them to school because people made fun of him, like Arthur was going through. Reading this in the classroom, students would realize that it is not right to make fun of other kids because it is bullying and anybody can get glasses at any given time. Arthur was very self conscious when he first got his glasses and didn't want to wear them because his friends made fun of him. Only when he saw that his teacher also wears glasses did he decide to give them a chance again only to find out that he could see well enough to beat Francine at basketball. This is a wonderful book to open the eyes of children in the topic of minor disabilities. The illustration of Arthur was different than the cover of the book portrayed, which was deceiving when reading the book. Arthur is able to overcome the bashing from other students on his glasses, and he was supported by Francine. This book's illustrations are outdated, but the text is of quality. Alissa has this story on video. She's watched it many times. When she opened the book, she "read the pictures" almost verbatim. She was so proud. Arthur couldn’t see very well. He had to hold his books very close to him, and kids didn’t want to play with him. His parents took him to the eye doctor and got him glasses. His friends laughed at him and called him four eyes. Arthur decided to hide his glasses because he was embarrassed. Arthur accidentally went into the girl's bathroom on accident, and was even further embarrassed. Arthur’s teacher told him that he wore glasses, and this made Arthur feel better. Arthur’s glasses helped him ex Arthur couldn’t see very well. He had to hold his books very close to him, and kids didn’t want to play with him. His parents took him to the eye doctor and got him glasses. His friends laughed at him and called him four eyes. Arthur decided to hide his glasses because he was embarrassed. Arthur accidentally went into the girl's bathroom on accident, and was even further embarrassed. Arthur’s teacher told him that he wore glasses, and this made Arthur feel better. Arthur’s glasses helped him excel in school. This made Francine want to get glasses too. In the classroom I would use this story to discuss bullying. It can help show students that glasses don’t make a student weird or different, but instead help a person excel in things that they were being held back in. I enjoyed this story and feel that it has a great message. I also enjoyed the illustrations, as I usually do in the Arthur books. I enjoy all of the Arthur books,I'm a little too old for them but I still love them! Arthur had to hold his books very close to him, and kids didn’t want to play with him. His parents took him to the eye doctor and got him glasses. When he came to school with them, his friends laughed and called him four eyes. Arthur felt embarrassed and decided to hide his glasses. Because of this, Arthur accidentally goes into the girl's bathroom and gets even more embarrassed. Arthur’s teacher tells him that he wears glasses too, and this made Arthur feel better. Arthur’s glasses helped him e Arthur had to hold his books very close to him, and kids didn’t want to play with him. His parents took him to the eye doctor and got him glasses. When he came to school with them, his friends laughed and called him four eyes. Arthur felt embarrassed and decided to hide his glasses. Because of this, Arthur accidentally goes into the girl's bathroom and gets even more embarrassed. Arthur’s teacher tells him that he wears glasses too, and this made Arthur feel better. Arthur’s glasses helped him excel in school which made Francine want to get glasses too. I think that this story does a great way of showing kids that being different from your friends isn't bad. You could use this in the classroom to discuss bullying. It could help show students that glasses don’t make a student weird or different, but instead help a person excel in things that they were being held back in. Arthur is back again in Arthurs Eyes. This book is about Arthurs struggles when he has to get glasses. None of his classmates or friends have glasses and when he wears them for the first time they all tease him. Sick of their teasing Arthur refuses to wear them and gets himself in some sticky situations. Eventually he realizes that its okay to be a little different and that he really needs them in order to do daily activities, no matter how goofy they look. I enjoyed this book and I believe it h Arthur is back again in Arthurs Eyes. This book is about Arthurs struggles when he has to get glasses. None of his classmates or friends have glasses and when he wears them for the first time they all tease him. Sick of their teasing Arthur refuses to wear them and gets himself in some sticky situations. Eventually he realizes that its okay to be a little different and that he really needs them in order to do daily activities, no matter how goofy they look. I enjoyed this book and I believe it has great lessons for young readers and that in general it is a great book for them. It teaches them that it is okay to be different and that friends should accept you for who you are. Once again the author Marc Brown has provided exciting and detailed illustrations that readers will enjoy. Marc Tolon Brown is perhaps best known for his series of children's books about Arthur the aardvark, which was turned into an animated television show on PBS. Brown is a three-time Emmy Award winner, for his role on the television show inspired by his books. He lives on Martha's Vineyard and in New York City with his wife, Laurie Krasny Brown. He has three children, sons Tolon and Tucker, and daug Marc Tolon Brown is perhaps best known for his series of children's books about Arthur the aardvark, which was turned into an animated television show on PBS. Brown is a three-time Emmy Award winner, for his role on the television show inspired by his books.